At LeaderSurf we believe that the right climate for learning influences our participants willingness and openness to new ideas. Escaping the day to day and the hustle and bustle of city to life to spend a week in a tropical paradise changes the mindset of our participants. Nosara, Costa Rica has been described as a tropical paradise. Located on Costa Rica’s Nicoya Peninsula, this small village offers pristine beaches in a rain forest environment. Nosara is home to several surf camps and yoga retreat venues. LeaderSurf has partnered with The Gilded Iguana to host LeaderSurf programs. The Gilded Iguana is a historic hotel in Nosara that was just recently renovated with luxury accommodations and great outdoor space to host the learning components of the program. Each participant will stay in a private deluxe room that features the comforts of home in this tropical oasis. The hotel restaurant will serve freshly prepared meals for participants daily. 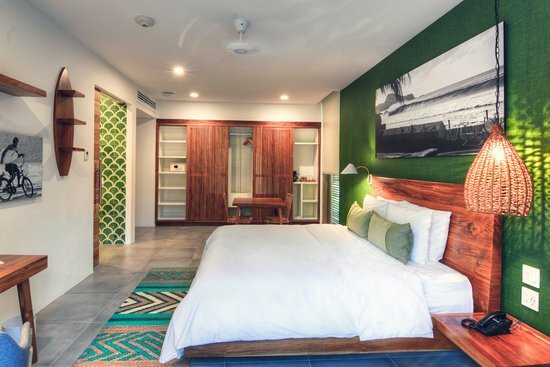 The Gilded Iguana features a surf school with outdoor classroom making it the ideal location for the LeaderSurf program. The Gilded Iguana is a two hour ride from Liberia International Airport. LeaderSurf has arranged ground transportation for our participants to/from the airport. Costa Rica offers several humanitarian aid opportunities for the LeaderServe humanitarian aid day. Nosara's award winning beach, Playa Guiones is considered one of the top spots in the world to learn to surf. Our certified surf instructors have been trained to link the surfing learning to the leadership development goals of the program. LeaderSurf in Costa Rica offers the right escape from the day to day and the perfect learning spot to develop enhanced leadership skills.